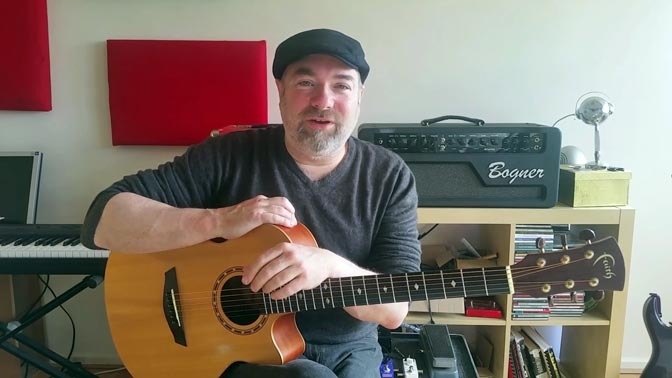 My name's Graham Young and welcome to my guitar teaching website. Here you'll find lots of information about what, when and where I teach. I've been a guitar tutor for over 30 years and have taught many great players in that time but whatever your level of skill I can help you derive more enjoyment from the instrument and ultimately achieve your personal goals. Please read my google reviews for more insight on this. I'm available for in person one on one lessons and also via Skype. I teach guitarists worldwide from the USA to Hong Kong. All that's required is Skype with a reasonably speedy connection, an email address and a Paypal account. All my lessons are conducted one on one and by me only. I do not give group lessons as they are not ideal in many regards. songs and scenarios. The aim always being to make you a better musician. Browse my site, watch my videos and get in touch for a free trial lesson.